Select the premium size of your choice of ForYourParty's Good Vibes Entertaining Set and style your powder room with this cute hand towel set or give as a thoughtful and chic home gift fitting any occasion. Anyone could use some extra good vibes, so why not give a few of ForYourParty’s Good Vibes powder room gift sets this year? From holiday gifts to housewarming gifts, these designer-curated restroom sets are everything you need. You can select from three different size options to fit your needs. 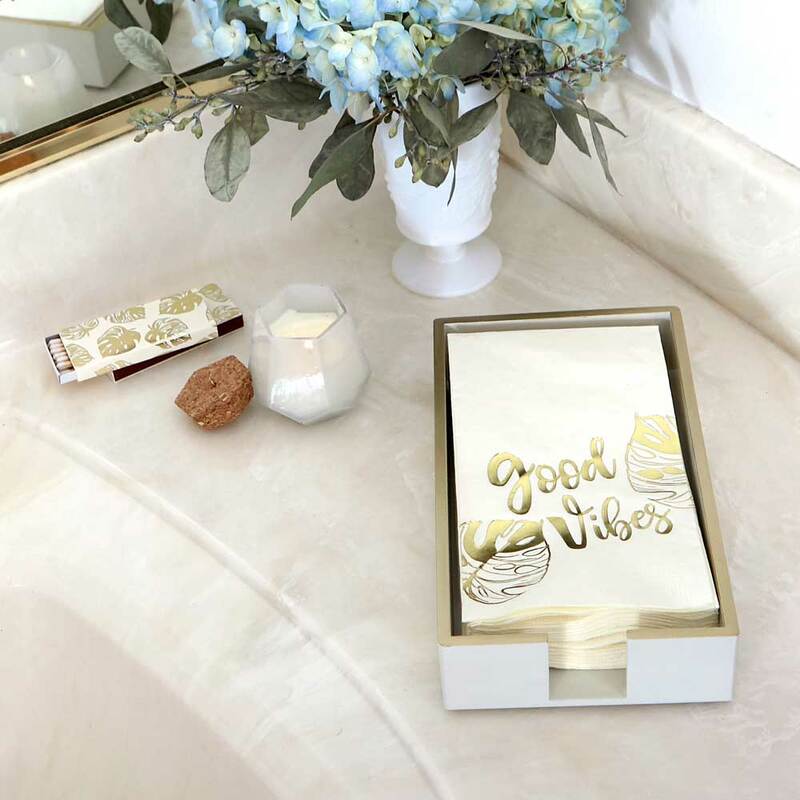 Include a Paddywax candle or lacquered taupe towel tray with your Good Vibes towels and matches—or choose it all! 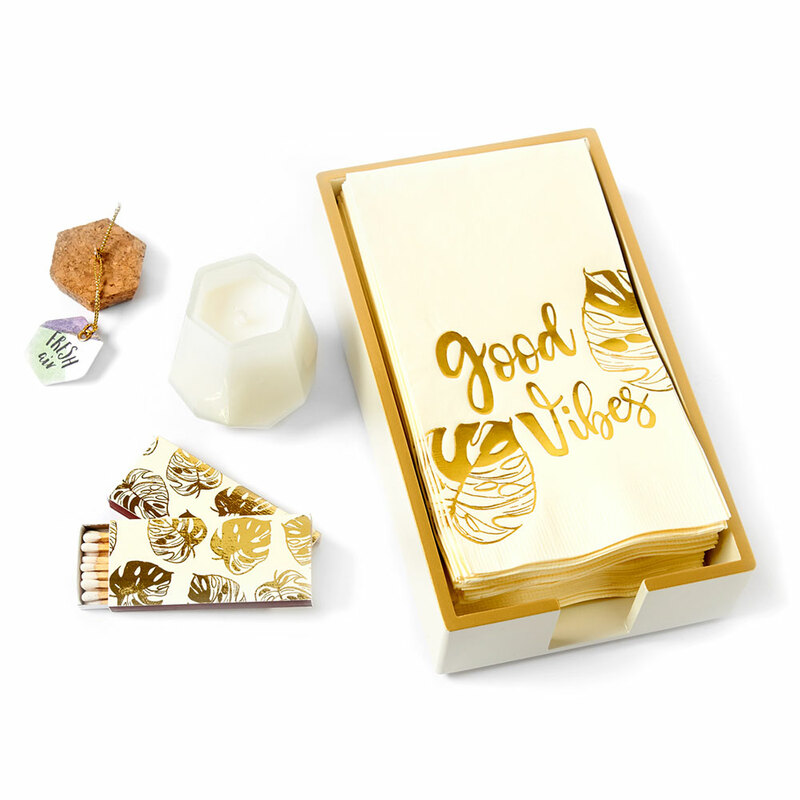 The designer curated items feature a casual and scripty "Good Vibes" with an on-trend palm leaf design in gold foil. 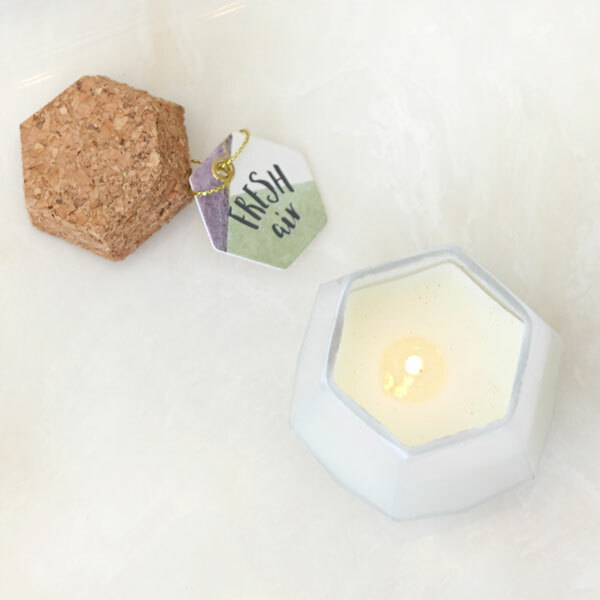 A great quick gift idea, you’ll find that the Good Vibes powder room gift set is a great choice for holiday gifts, housewarming gifts, birthday gifts and even bridal shower gifts. What’s not to love about a set of luxurious guest towels to spruce up the powder room? For Your Party’s new powder room gift sets are sure to become a gift giving favorite, so stock up on a few extra boxes for impromptu gifts. In a time crunch? All of For Your Party’s gift sets have same day shipping and arrive gift ready, totally taking the stress out of gift giving.